Nagle, an enrolled citizen of the Cherokee Nation, is a direct descendant of John Ridge. Ridge signed the bitterly divisive Treaty of New Echota in 1835, which removed the tribe from its land in the eastern United States. While many view Ridge and the other Ridge-Watie family signers as traitors, others see them as dissenting patriots who were willing to sacrifice their own lives to preserve the Cherokee Nation – having no idea of the atrocity that was to come through the Trail of Tears. After Ridge was killed in the Indian Territory, his widow, Sarah Bird Northrup Ridge, their five children, 14 Cherokee girls and a teacher, Sophia Sawyer, moved to Fayetteville in 1839. Their home, The Ridge House, located just off of the downtown Fayetteville square, is the oldest house still standing in Fayetteville. 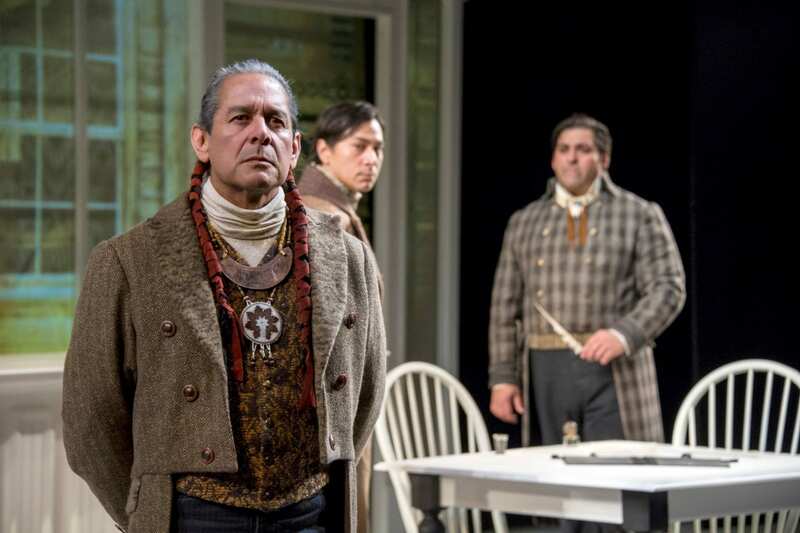 Nagle’s play, Sovereignty, wrestles with the legal legacy of John Ridge’s choices and how the broken treaties of the past reverberate in the Cherokee Nation today. With shadows stretching from 1830s Cherokee Nation (now present-day Georgia) through Andrew Jackson’s Oval Office to the Cherokee Nation in present-day Oklahoma, Sovereignty asks how high the flames of anger can rise before they ultimately consume the truth. 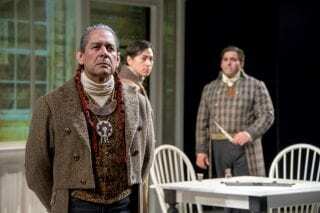 The play is receiving national attention and praise across the United States, including articles in The New York Times, the Washington Post and American Theatre magazine. As John Ridge’s nephew, a Cherokee, a Confederate and an attorney, Elias C. Boudinot continues to provoke mixed feelings today. Find out how the artifacts of his life present varied and conflicting meanings. In coordination with TheatreSquared and Crystal Bridges Museum of American Art, A View from the Ridge will feature readings from Sovereignty. 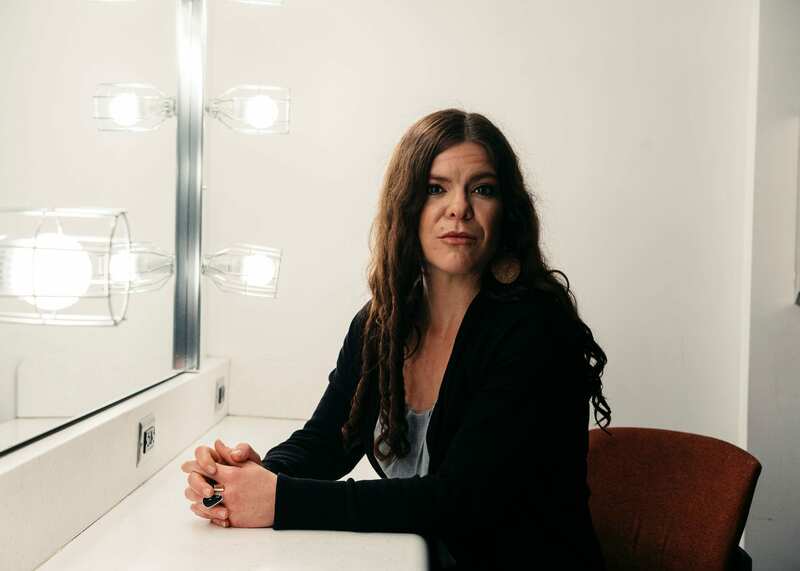 Mary Katherine Nagle and expert U of A faculty will provide further perspective on the play’s themes and the family’s legacy in Fayetteville. U of A professors Sean Teuton and Kim Sexton will lead a tour of several historical sites around the Fayetteville Square conncected to John Ridge and Elias C. Boudinot. Before the evening performance of Sovereignty, Crystal Bridges Curator Mindy Besaw and Art Bridges Assistant Curator Ashley Holland will discuss European depictions of indigenous peoples, including this painting. A reading of Sovereignty will be performed by TheatreSquared with support from the Department of Theatre at the University of Arkansas. Tickets are free, but please register online or with the museum’s guest services. Partners and sponsors for these events include Crystal Bridges Museum of American Art, TheatreSquared, the U of A Chancellor’s Innovation and Collaboration Grant, University Libraries’ Special Collections and Mullins Library, and the J. William Fulbright College of Arts and Sciences’ Indigenous Studies Program, Humanities Program and Department of Theatre. About Mary Kathryn Nagle: Playwright Mary Kathryn Nagle is an enrolled citizen of the Cherokee Nation. She currently serves as the executive director of the Yale Indigenous Performing Arts Program. She is also a partner at Pipestem Law P.C. in Tulsa, where she works to protect tribal sovereignty and the inherent right of Indian Nations to protect their women and children from domestic violence and sexual assault. 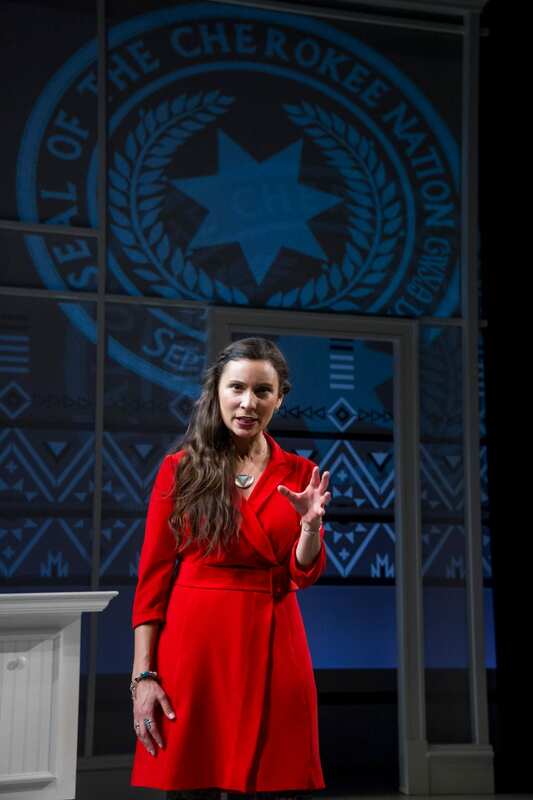 Her play Sovereignty premiered at Arena Stage in Washington D.C. in the spring of 2018. About Arkansas Stories: Arkansas Stories of Place and Belonging is an innovative public scholarship and engagement series at the University of Arkansas, funded by a Chancellor’s Innovation and Collaboration Grant that brings together scholar-experts, students and the general public to engage in informed conversations about the region’s fascinating history of human interaction. Utilizing objects and places as focal points to narrate compelling stories of the movement of humans and ideas across centuries, Arkansas Stories illuminates what makes up our common heritage. A version of this story also appeared in University of Arkansas’ Newswire publication.